Clare Beach Films. 1977. Director: Ken Hannam. Music: Bruce Smeaton. 45 (ST) M7. MS-228. 1977. Recording Engineer: John French. Side a: “Summerfield Theme”. (2:00). (B. Smeaton). (Allans). The Bruce Smeaton Orchestra. Side b: “Run Into Danger”. (2:35). (B. Smeaton). (Allans). The Bruce Smeaton Orchestra. CD (ST) 1M1 Records. No:1M1CD1032. 2002. 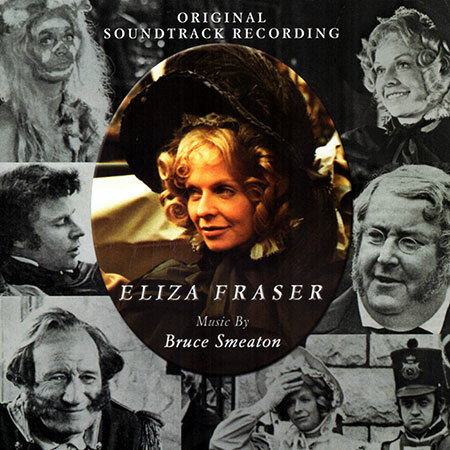 "Eliza Fraser". Also includes "SUMMERFIELD". 32: Opening Theme Variation 11:00. 33: Opening Theme Variation 2.